Vinyl siding has been used for many years in home and commercial building applications. We are proud to offer both vinyl and HardiePlank siding options to our customers. We hear the “HardiePlank vs. vinyl siding” question a lot, and you can read more about both options below. 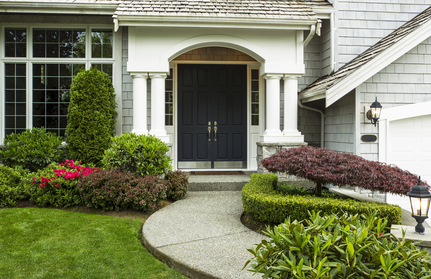 There are many things to consider when deciding which material to use, including cost, appearance, ease of maintenance, and impact on your property’s resale value. If you’re not sure which one is best suited to your specific application, please call or fill out the form on this page to request more information. Our team of Huntersville siding experts will be happy to answer your questions and can make a personalized recommendation in person or over the phone. The most commonly used siding material on residences throughout the U.S., vinyl siding is known for its affordability and ease of maintenance. It’s also easy to customize, with a variety of textures and colors to choose from. It is definitely cheaper than HardiePlank, but does not offer as much in terms of durability, thickness, and custom options. Still, it is a popular choice and has been for many decades. A lot of people trust vinyl siding as a solid construction materials for their homes and commercial buildings in the Lake Norman area. Also known as fiber-cement, HardiePlank siding is thicker and allows for deeper textures, so if you’re looking for something truly custom, it may be the way to go. It is more durable than vinyl siding, but also more expensive.